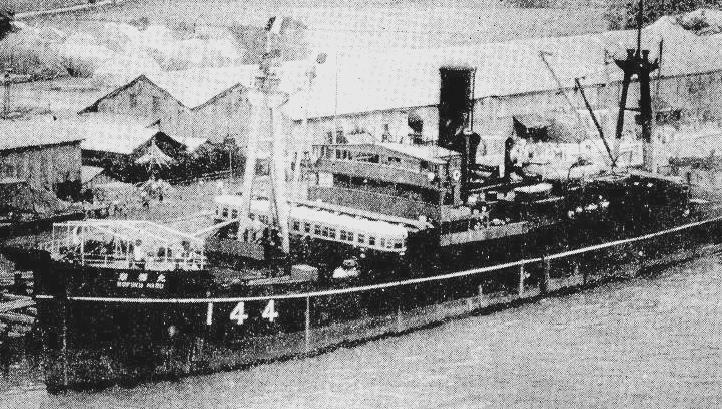 This class consisted only of KOFUKU MARU completed in 1934 for Yamashina Kisen K.K. and sold in '43, to Nakamura Kisen K.K. She was requisitioned by the IJA as a special transport in '38-'40. In Aug ’41 she was requisitioned by the IJN. Her wartime service was spent mostly in Japanese waters, transporting heavy equipment and raw materials. She was sunk in a collision with cargo ship MAOKA MARU in Sep ’43. Propulsion: 1 TE reciprocating steam engine, 1,700 NHP, 1 shaft. Speed: 10.0 knots cruising, 12.5 knots max.